Valerie and her husband established the first Anawim house near Grafton in 1983 offering prayer ministry and accommodation for those in needs. Valerie has a Diploma of Applied Science and as a wife, mother and grandmother continues to promote the Angelus Prayer Ministry with Father Doyle at Angelus House for those desiring to be set free from emotional imprisonment or spiritual oppression. 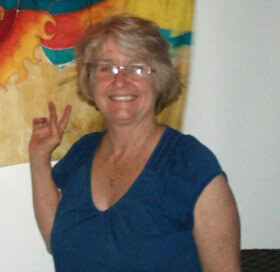 Katherine is from Townsville and has spent most of her life in Western or North Queensland. 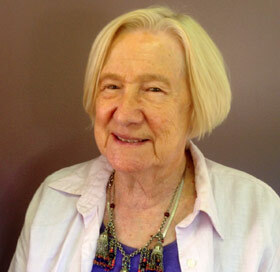 She has been involved with the Association since 1997 having met the founders on an outreach to Cairns in 1994. Katherine was involved in Government funded programs and was instrumental in developing and driving a new model of housing for homeless people that successfully addressed tenancy issues that had kept people locked into the homeless cycle. Business Woman – M.A. B.Soc.Sc. B.B.A. Beryl hails from Julia Creek where her father was the Shire Clerk for more than 42 years in local government and community. Beryl has an impressive service record starting with Care and Concern in 1978 in her local parish. 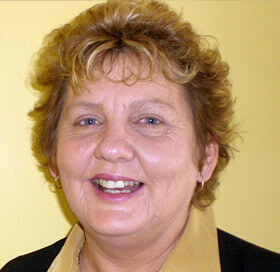 She then developed the Centacare Service in the Caboolture and Stanley River Parishes from 1995 to 2009. Starting with a volunteer group and no funding she retired from the service having implemented 12 streams of funding and services to over twelve thousand clients with an annual budget and assets of $4 million. She comes from an Applied Science, Business and Project Management background. For more than 25 years Beryl has been involved with Homelessness for families, individuals and youth with government grants and funding. Beryl has been involved with the Angelus Association since 2006 and has served on the Management Board applying her skills to the organization and development of the constitution, organizational and directional aspects of the Association. Jan, her husband Jim and their family came to Mullumbimby on the NSW Far North Coast back in 1972 from Sydney. The family real estate business began in 1979 and has two offices, at Mullumbimby and Ocean Shores. 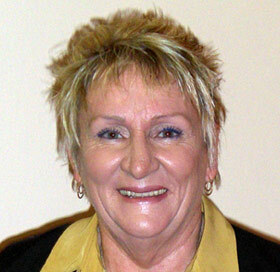 Jan is a director on the board of the North Coast Community Housing Company, a social housing organisation which manages about 850 properties from Grafton to Tweed Heads. Jan was chair of the Brunswick Byron Area Health Service Board for nine years and is currently chair of the Tweed Byron Cancer Network. Jan is a member of the Byron Central Hospital project reference group which is planning for a new area hospital at Ewingsdale, near Byron Bay. 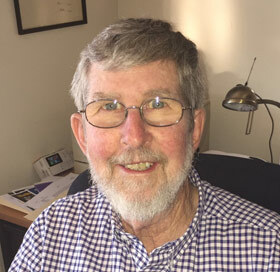 Jan was a local government councillor on the Byron Shire Council for nine years and a member of a wide range of committees including the Social Plan, Australia Day and Affordable Housing committees. She is president of the Ocean Shores Community Association. My working life centered around rural property valuations for mortgage purposes for private and public clients. I was well known for not compromising my Christian principles at any price. I was an active member of Lismore Apex Club and later Goonellabah Rotary Club. Paul started volunteering with the Lismore Soup Kitchen which includes accommodation for 18 homeless men within the former Winsome Hotel. When he retired from my valuation career, I assumed the volunteer role of Winsome Centre Manager and is still in that role 7 years on. He has been Secretary of the Angelus Association for the past 4 years.